Apple is renowned for paying extreme attention to user experience, so when their new lines of phones featuring bigger screens came out in September, it was just a matter of time before apps started being optimized to take advantage of this change. 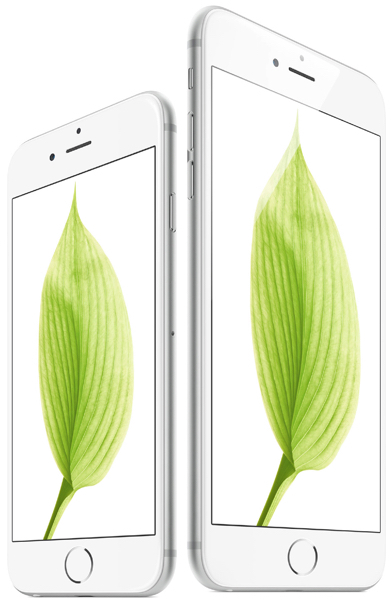 The difference in resolution is quite notable, the iPhone 6 coming with a resolution of 750 by 1334 pixels and a 4.7 inches screen, and the iPhone 6 Plus boasting a resolution of 1080 by 1920 pixels and a 5.5 inches screen, whereas the previous generation of iPhones (iPhone 5, 5C and 5S) came with a 4 inch display with a resolution of 640 by 1336 pixels. There are several apps that are already on the bandwagon with the new resolutions – here are the top 10 picks. 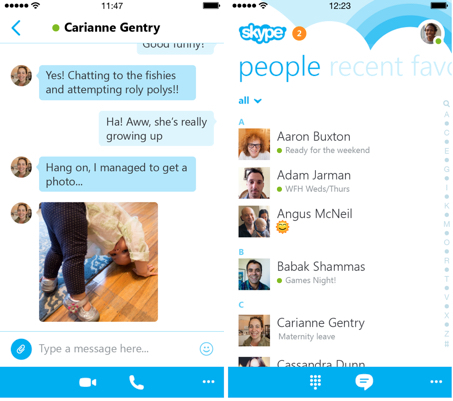 Skype has decided to overhaul its iOS app, bringing it to version 5.0. Recently, the communications company has been upgrading its mobile app for other platforms, namely Android and Windows Phone, but until now Apple has been left behind. The first thing you might notice is the new interface. They have completely changed the looks to bring it in line with the newer iOS design language. The next thing is the software changes. You can now start group chats directly from the central hub and don't have to wait until a friends is online before you can message them. Apparently offline messaging was something that was only developed in 2014. Skype 5.0 also has some software upgrades that are not obvious upon opening the app. It is better at synching your messages between devices and has had its coding redesigned to work up to five times faster, according to a teaser video released Monday evening. But after tempting you with all the upgrades and good news, Skype is going to leave you hanging. It will be another week before the new Skype for the iPhone is released to the public. Foursquare has taken the first step in bifurcating its service with the release of Swarm, an app that allows you to easily connect with the friends around you. The company decided to remove the feature that allows you to see which friends are checked in where from the core Foursquare app experience, moving that to the new Swarm app. 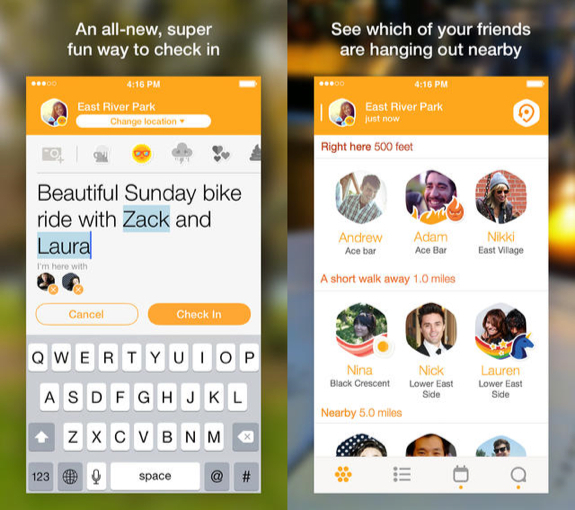 Within Swarm is a new feature that allows you to make plans with friends. You can see the events and ideas being shared by those you know - no invitations, just a list of your friends offering up various ideas of things to do, that you can join or not. 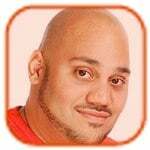 You can grab Swarm right now on the App Store and Google Play. Planning on picking up a Microsoft Xbox One this weekend? If you have an iPhone, iPad, or iPod touch, you'll likely wanna grab the new, free Xbox One Smartglass app. The app is similar to the one that's been available for the Xbox 360—it'll allow you to control a bunch of functions on your Xbox One right from your iOS device. 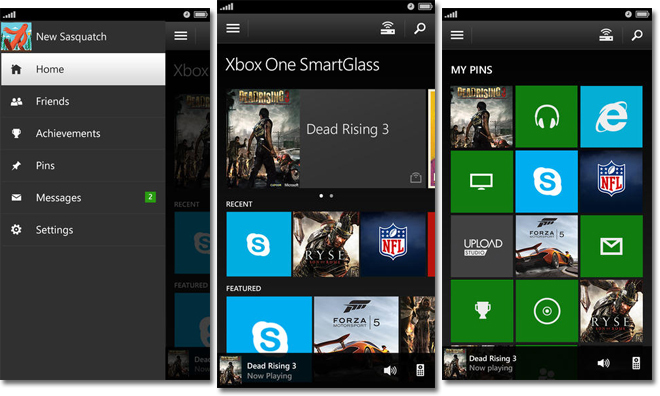 Xbox One SmartGlass is the perfect companion app for your Xbox One, both in your living room and on the go. Connect and control your Xbox One. Stay connected with the games and gamers you like. And add a new dimension to your console entertainment with the mobile device you already own. You can download Xbox One Smartglass now. 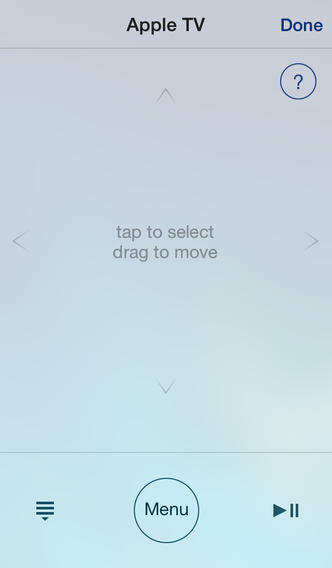 Nike+ Move is the simplest way to capture your every move, and motivate you to move more! Exclusively for use with iPhone 5S, Nike+ Move uses the M7 coprocessor to convert your movement into NikeFuel, the first-ever single, universal unit for measuring all kinds of activities. No matter your age, weight or gender, the same activity earns you the same amount of NikeFuel. Nike+ Move offers insight into when you move, how you move and where you move - and lets you challenge your friends to see who moves more. Win the day by beating your NikeFuel average and watch your goal ring change from Red to Green. See when you are most active throughout the day and how you’re doing compared to yesterday. Move more often and win as many hours as you can throughout the day. See how you moved through the day with a breakdown of running, walking, and other movement. See where you're moving and where you move the most each day. 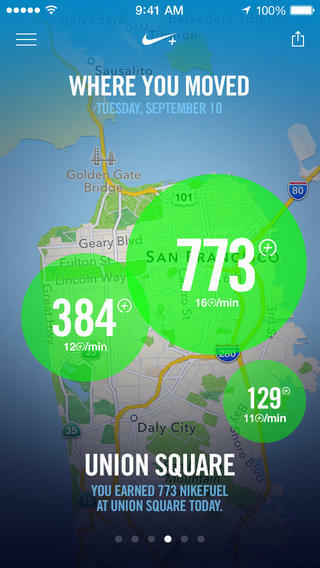 Check out how you compare against your Game Center friends or other Nike+ Move users near you. *Note: iPhone 5S is required to get motivated with Nike+ Move. 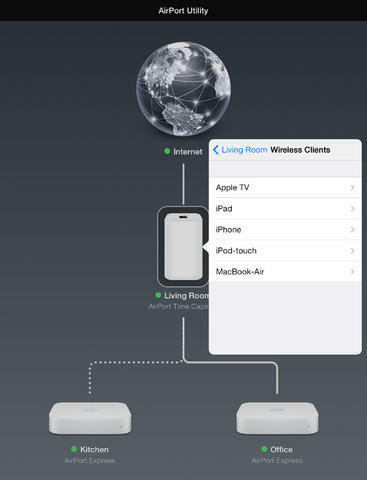 Alongside the Apple TV Remote app update, Apple has also released AirPort Utility 1.3.3, bringing 64-bit support to the app when using it on an iPhone 5S, iPad Air, or iPad Mini 2. While the prior update gave it a redesign, this update brings AirPort Utility up to par with other Apple iOS stock apps that have transitioned to the higher bitness. Clearly, Apple is on the move and is transitioning all of its first-party app over to 64-bit. Get a look at all the features after the jump. 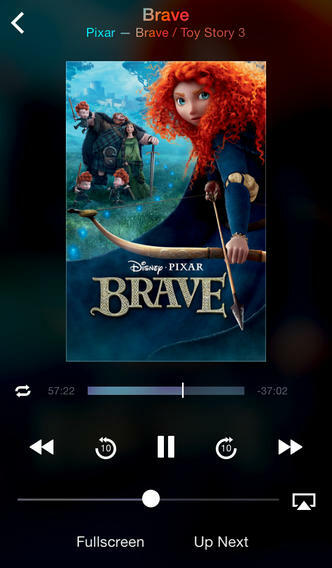 This version of Remote has been completely redesigned for iOS 7 and adds support for iTunes 11.1. 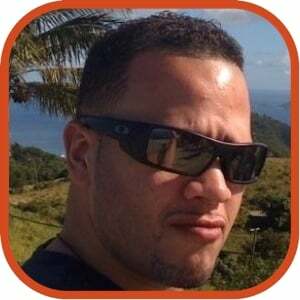 You can download Remote from the App Store for free. Tweetbot is the Twitter client of choice here at Gear Live HQ, and we've been delighted by the newest version, Tweetbot 3.0. 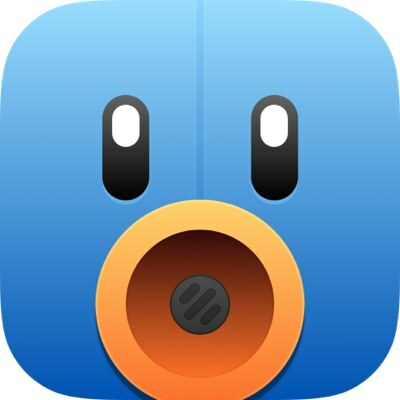 Released yesterday on the App Store, Tweetbot 3.0 is an all-new app, completely rewritten and redesigned from the ground up by the team at Tapbots. If you're a user of the older version, the new Tweetbot may seem a bit unfamiliar at first, but that's just because the team stripped away old design ideas, and decided to take on iOS 7 design language, and it turned out fantastic. New functionality makes the app faster, and it's normally ready with your fully updated timeline whenever you launch it, thanks to the integration of the iOS 7 Background Fetch API. Sounds in Tweetbot are as whimsical as ever, and the whole app just feels brighter and more open. If you're already a Tweetbot user, it should be noted that Tweetbot 3.0 is a new, separate purchase. 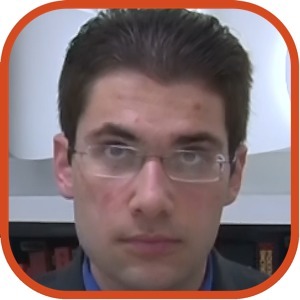 Check out a video demo after the break. You can download Tweetbot 3.0 for iPhone now for $2.99. Where's My Water? 2, the sequel to the massively popular physics-based Where's My Water? 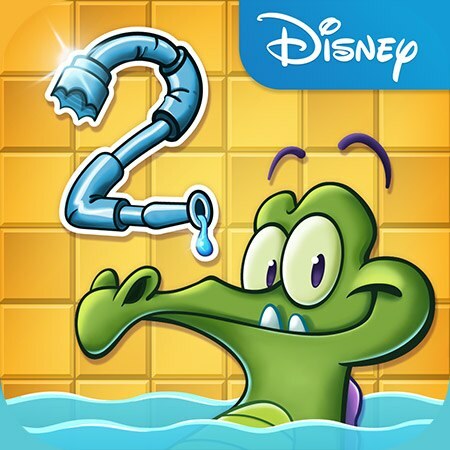 Disney puzzle game, is now available for the iPhone, iPod touch, and iPad. You can download it, right now, for free.